Owned and operated by Dixie County. No reservations; sites available on a first-come, first-served basis. 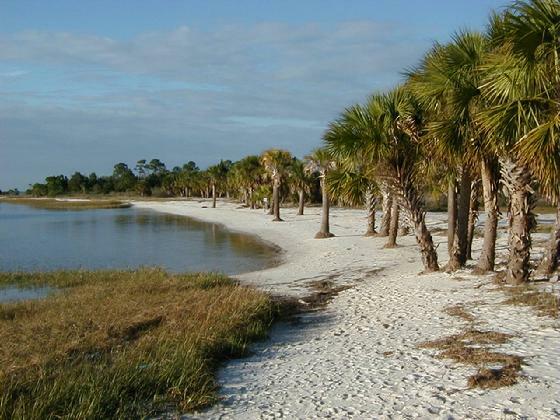 Part of the Lower Suwannee National Wildlife Refuge, the Shired Island Boat Ramp & Trail provide access to the Gulf, shoreline fishing, and a short trail to a 7,000 year-old archaeology site. You'll want to bring your camera. For anglers without vessels, the ample sea wall provides plenty of shore-fishing opportunities. There are no nearby stores or tackle shops, so come prepared. 12 hookup spots $20/night for an rv, $10/night for a tent but $20 if hooked up to electricity.